Shopping for Super Mario Bros. Games? 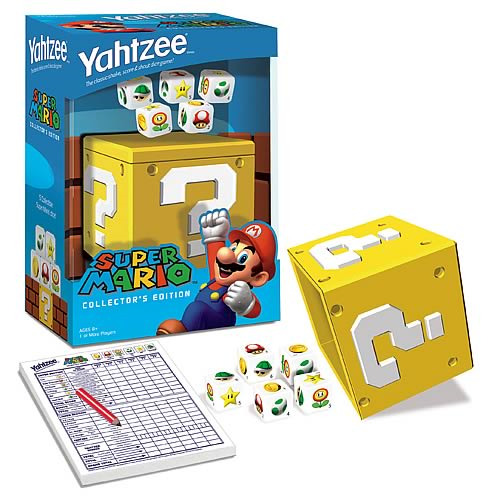 Super Mario and Yahtzee... together at last! Dice are decorated with power-ups from the Super Mario video games.